Founded and produced right here in Eau Claire, Melnatural offers natural beauty products made from high-quality ingredients that will help you put your best face forward every day. I had the opportunity to chat with Melnatural founder Melissa Wilson about her business and what inspires her. Growing up with a mom who enjoyed using skincare and makeup products, Mel&apos;s interest was piqued at a young age. A DIY-er, Mel created her Eyelash & Eyebrow Growth Serum after experiencing eyelid discoloration from a more chemically based product. A few years ago, she began researching naturally based skincare and reading up on the benefits of different ingredients and at-home remedies to relieve hormonal acne caused by Polycystic Ovary Syndrome (PCOS). After seeing significant results from her homemade products, and the interest from family and friends in her lash serum, Melnatural was born! Officially launched in January 2017, Melnatural now consists of over one dozen products made in Eau Claire by Mel and her family and is sold in stores throughout Wisconsin and Minnesota. 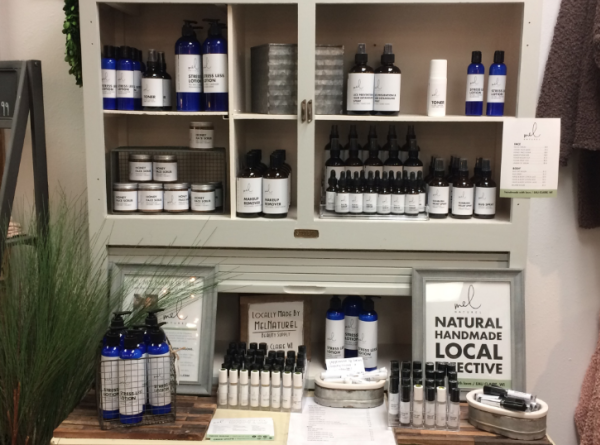 Shops where Melnatural can be found include The Local Store, Avalon Floral and The Mustard Seed Boutique in Eau Claire, Specter Shop in Milwaukee and The Purple Tree in Hudson. Thanks to her Etsy shop, website and social media pages, Mel&apos;s products have devoted fans throughout the United States and around the world in Australia, Canada and Switzerland. Melnatural products are made of ingredients like shea butter, witch hazel, tea tree oil, lavender, frankincense and vitamin E, all sourced from small naturally-based companies, and the honey is sourced locally from Cedar Bee Farms in Mondovi. These are products that throughout centuries have shown to be gentle and effective in skin care and are some of the ingredients in Mel&apos;s products, including her daily staples. The Melnatural Toner roller, she says, has "been a game changer" for her skin, she uses it morning and night. She also uses the Makeup Remover/Cleanser daily, along with the Facial Sum which can be used as a moisturizer and makeup primer. She&apos;s especially proud of the Facial Serum, which is currently the most repurchased Melnatural product. Its popularity could lead to a reorder service down the road, where Melnatural fans can set up automatic shipments of their favorite products, so they never run out. The future is bright for Melnatural, with a growing base of loyal customers that Mel has built a great relationship with. Each online or Etsy shop order receives a handwritten note from Mel, and as she considers potential partnerships and opportunities to expand, Mel strives to maintain the trust she has built with her customers and keep her work-life balance intact as much as possible. 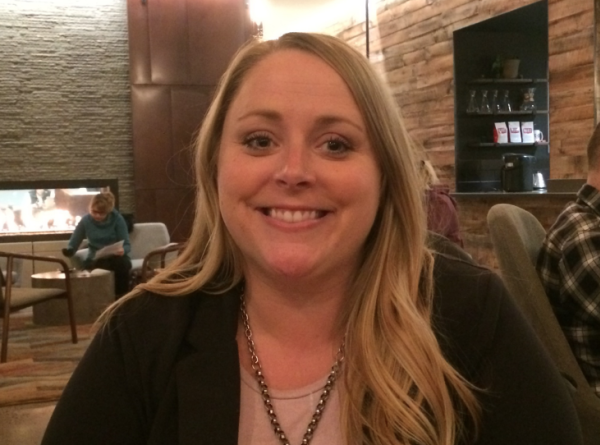 She works full time in the Marketing and Business Development department at Royal Credit Union and enjoys pontooning on the Chippewa River in the summer with her fiance. You might even see her out and about at Friday night fish fries at the Court n&apos; House or the Northern Tap House. She practices her own self-care with weekly yoga classes, bubble baths, face masks and by maintaining her daily routine. She says once her tasks are done and everything on the to-do list is checked off, then she can truly relax. Mel is very appreciative of the support the community has shown her and her company. The same year Melnatural launched, the company was a co-recipient of the first Red Letter Grant, which is awarded each year to help boost female entrepreneurship in the Chippewa Valley. Melnatural also won the Western Dairyland Woman&apos;s Business Center&apos;s New Business of the Year in 2017. A dream of Mel&apos;s would be to open up a storefront in Downtown Eau Claire while maintaining her company&apos;s current wholesale partnerships. But until then, you can find Melnatural products at the locations previously mentioned and online on Etsy, Instagram, Facebook and Melnatural.com.